Whenever you need or want home improvements in Cape Cod, MA, you can always depend on the services of Cape Cod Remodeling Pros. Whether it is replacing your windows or deck construction, Cape Code Remodeling Services is able to handle the job that you have for us. It is possible for you to receive exactly what you want and need from our qualified team of professional Cape Cod contractors. Simply give us a call to find out how we can make your dream into a reality. We know that you might think that in order to get what you really want that you have to do it yourself. When you contact us to handle the job, you’ll find out that we do things according to your desire and not ours. We’re happy to accommodate your service requests and offer suggestions about how we can accomplish what you want within your budget. 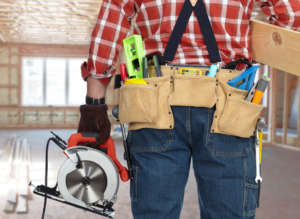 No one should ever begin a remodeling or renovation project without first counting the cost. This is where our services really come in handy. We come to your location to evaluate the work that needs to be done, finalize your plans and provide you with a realistic estimate of the cost associated with the job. Nothing could be more frustrating than starting a project and abandoning it because you don’t have the financial resources to handle the job for you. We will make sure that this doesn’t happen by providing you with the most accurate estimate possible. Contact us today.